NKU alum Steve Ruch remembers his friend, Mark Buerger, dressing up like a Norse and patrolling the sidelines during basketball games, long before Victor E. Viking made his first appearance on campus. Ruch said he has watched athletics grow with the size of the university, but he said he is not a fan of their most recent change to Victor. Since the the new Victor was unveiled earlier this month, members of the NKU community haven’t been hesitant to voice opinion, most of which have been negative. RELATED: What do you think of Victor’s new look? 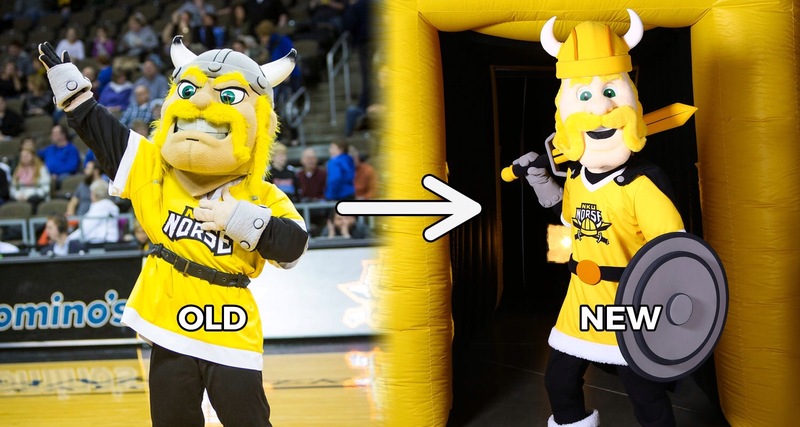 In response to the frustrations about the changes to Victor E. Viking, the athletic department sent out social media posts, ensuring students they have heard their concerns about Victor. The posts encouraged students to stay tuned for more updates. Bryan McEldowney said there are plans underway to allow the student body to voice their concerns and provide suggestions about the changes to Victor, as well as other issues in the athletic department. “We have heard the response to Victor, and we are going to give the student body a chance to voice their opinions,” McEldowney said. When the athletic department came to members of SGA asking for ideas for a new mascot, now SGA President Will Weber thought he had an idea that would fit everyone’s needs. But the athletic department went in a completely different direction, not only not bringing back Hey U, but spending $10,000 on a new Victor, a mascot that was not what the student body wanted, Weber said. “It’s frustrating because as a student you want to have a mascot you are proud of,” Weber said. At the moment there is no set time for any action to take place, but McEldowney said it is on the horizon, especially with basketball season weeks away. “We don’t have a timetable for anything just yet,” McEldowney said. SGA will also welcome members of the athletic department to an SGA meeting on Monday Nov. 7 at 3:30 p.m. to discuss the changes to the mascot and how to improve communication, which Weber hopes to learn more about the decision making process in the department. Ruch, CEO of Clarke Crown Brands in Chicago and former SGA Vice President at NKU, thinks the price of the new mascot is outrageous, and he said the money was not well spent by the university. Weber said Kelly Martin, assistant vice president for Marketing & Communications, talked to SGA about the idea of changing Victor after the logo change in March of 2016. Weber was not at the meeting, but he saw the renderings of Victor she provided. “The renderings I saw and the mascot we got, aren’t even in the same ballpark,” Weber said. Weber said he has been concerned with the athletic department’s lack of student representation since he became Vice President of SGA last year, after he says he found out no students were asked to review the logo change before it happened. Weber is now looking for solutions to bridge the gap between the athletic department and the student body in the hopes of improving communication. Weber said he has spoken with Assistant Athletic Director Brandon Hays about SGA establishing an athletics committee so student government can stay updated on happenings within athletics. Weber and his Vice President, Ellen Wilshire, also have a plan to pair SGA senators with five or six student organizations in an effort to promote transparency, which he says could also be a way to better distribute surveys, like the ones from the athletic department, so students don’t miss important information. Despite the gap in communication, Weber acknowledges that the student body is at fault as well. “It’s having an idea and then following up,” Weber said. “Brandon (Hays) hears all these ideas, which is great and we get things going and people are excited beforehand, but then less than half of those people don’t show up when it is show time. Weber has seen the response from NKU alumni on the Victor issue, and he encourages them to voice their frustrations to the university. “If you have season tickets or are a donor, shoot them an email and say ‘Hey, we are sending money. What’s going on here?’” Weber said. According to Amanda Nageleisen, spokeswoman for NKU, the university sent the same survey students received to all the alumni about the logo and mascot changes. Of the 60,000 plus alumni that received the survey, only 64 responded. Victor’s change is just one more reason why Ruch said he continues to feel disconnected from the university he was once so active with when he attended in the late 80s. According to Ruch, the university did not ask for the feedback of alumni on the changes to Victor or the logo. Ruch has been able to travel all over the world through his career, starting with MasterCard and now with Clarke Crown Brands. Whether he was in Milwaukee, Madrid, Brussels, Brazil or somewhere in the United States, he says NKU has asked for donations, but not about important events surrounding the university. “I feel like I owe it to the university (to donate), because I wouldn’t have had the opportunities to do the things I’ve done and get to where I’ve been without them,” Ruch said. 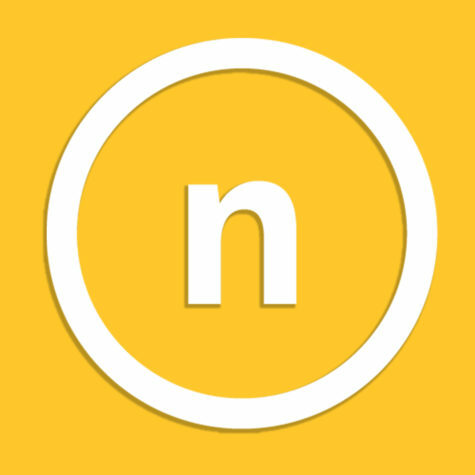 “It would be nice to have communication and feedback that wasn’t always about money. Ruch said he doesn’t receive notifications about when the homecoming game will be held every year, making coming back to campus less of a priority for Ruch when he comes back to visit family in Northern Kentucky. According to Nageleisen, however, the university has sent more than 60 newsletters to alumni since July 1, 2016 and over 200 emails to alumni all of last year about everything from homecoming to supporting the university in Frankfort. Ruch has stayed close to many of his college friends throughout the years, and he said many of them are also frustrated with the lack of connection they have felt with NKU after graduation. “I feel a lot of my friends from school would gladly be engaged if there was something to be engaged with,” Ruch said. Ruch would like to see that changed.